A classic. 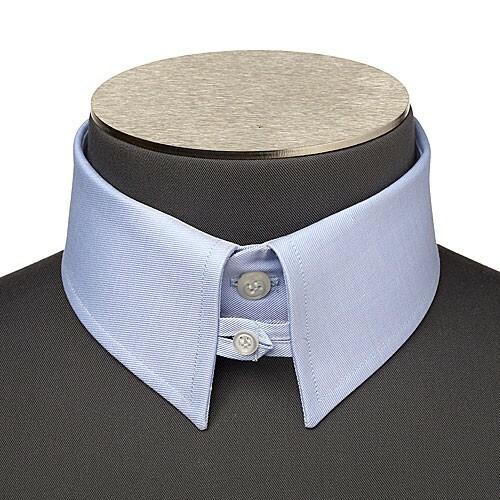 The English collar is buttoned with a tab. This very formal collar enhances the tie by pushing it forward and up however it is not always easy to button shut. The Lucknow collar is adapted to shirts worn with a jacket but without a tie. Since the collar band cannot be fastened this collar is worn open for nights out or the weekend.